Tokyo is a metropolis famous for the synergy between its state-of-the-art technology and traditional culture. Packed with things to do, you can explore skyscrapers, visit traditional shrines, and stroll along botanical gardens all within a short few hours. And this kind of environment is the perfect place for a Japanese photoshoot. 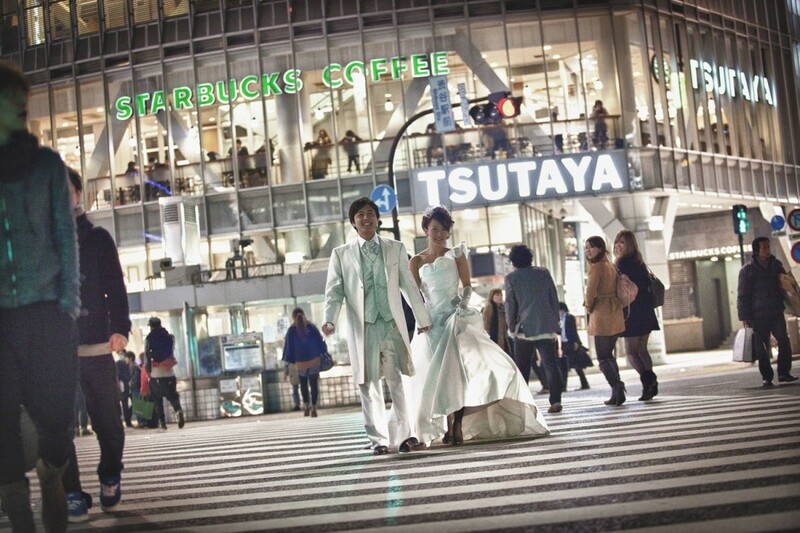 Imagine: Tokyo photos for your pre wedding, engagement photo shoot, or couples portrait photography. You’ll get a diverse array of scenery, and capture the essence of tradition and innovation in a single shot. 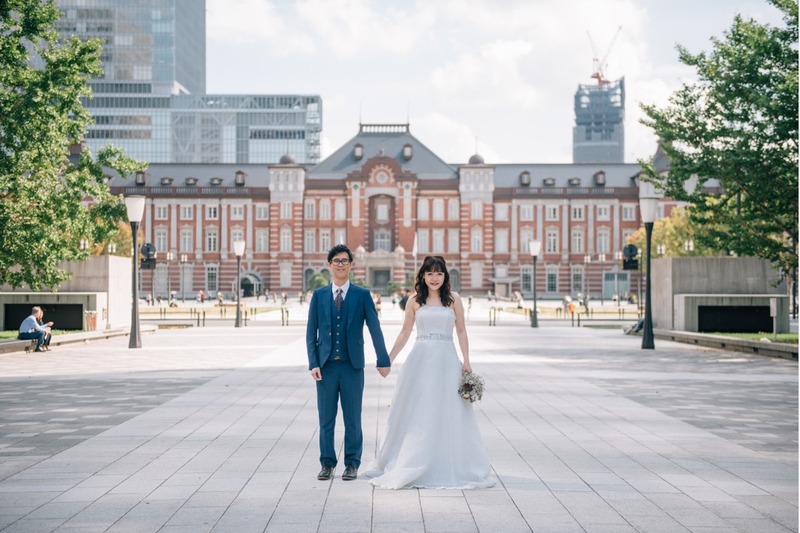 If you’re planning a destination wedding and honeymoon in Tokyo, or just looking to hire a freelance Tokyo photographer, look no further. We’ll provide you a unique opportunity that will leave you--and your friends--talking for a long time. Tokyo is a treasure chest full of the unique, the modern, and the beautiful. You have so many choices for locations, it’s hard to choose just one! But be careful—we recommend 1 location per hour of shooting in order to get the best shots with each scenery. 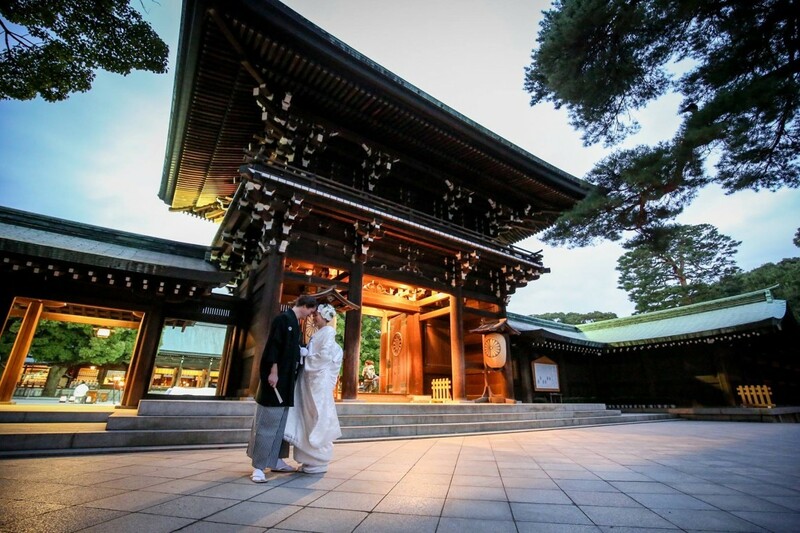 Many couples tend to focus on famous, well-known Tokyo destinations: Tokyo Tower, Shibuya Crossing, and Meiji Shrine (just to name a few). If you’re looking to have a truly “Tokyo” experience, these are perfect locations for your shoot. Check out some Tokyo pictures below! The two observation towers are popular among locals and tourists alike. 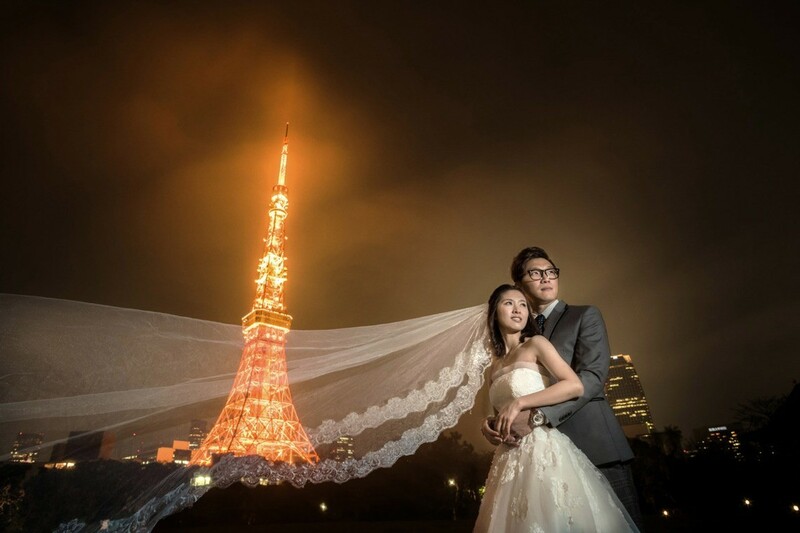 Though Tokyo Skytree is close to double the height of Tokyo Tower, both are optimal romantic photo shoot locations for couples. 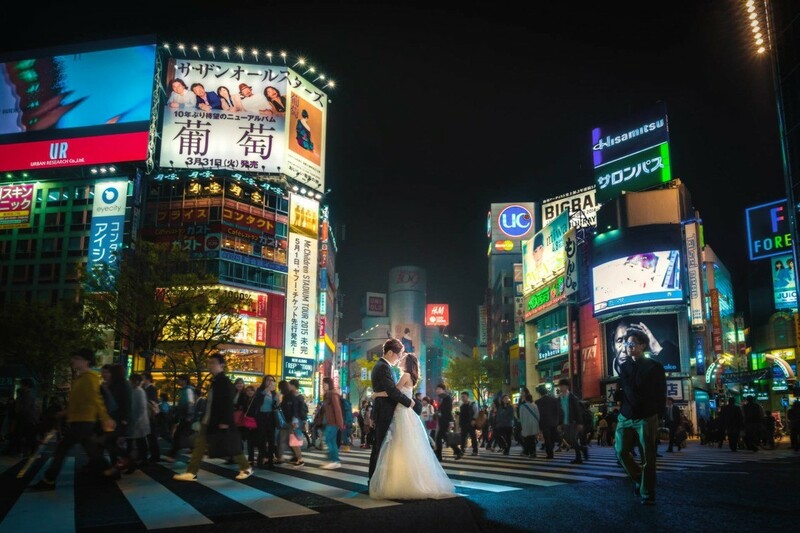 Well known to visitors to Japan, this crosswalk is an incredibly popular spot for pictures. The Shibuya Crossing is even rumored to be the busiest crosswalk in the world. Whether a bird's eye view or in the "scramble" itself, you can always expect a bustling, fun photo. 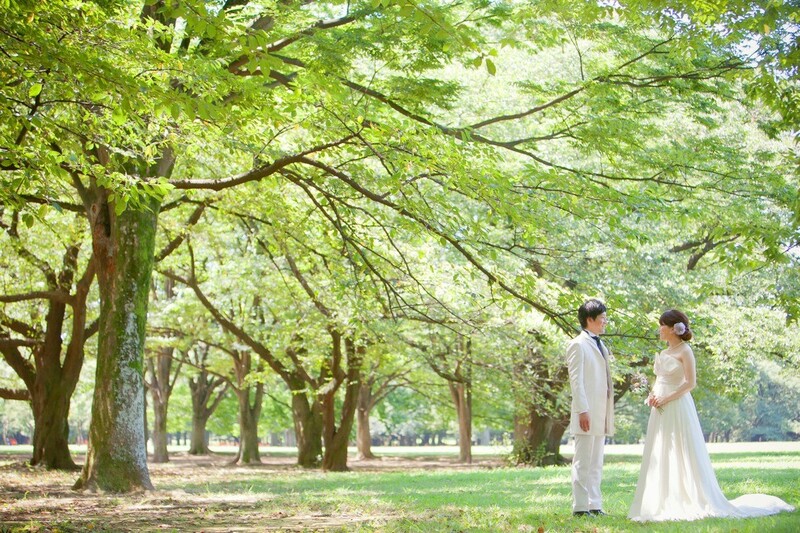 One of Tokyo's largest parks, Yoyogi park is located close to the Meiji-jingu Shrine. 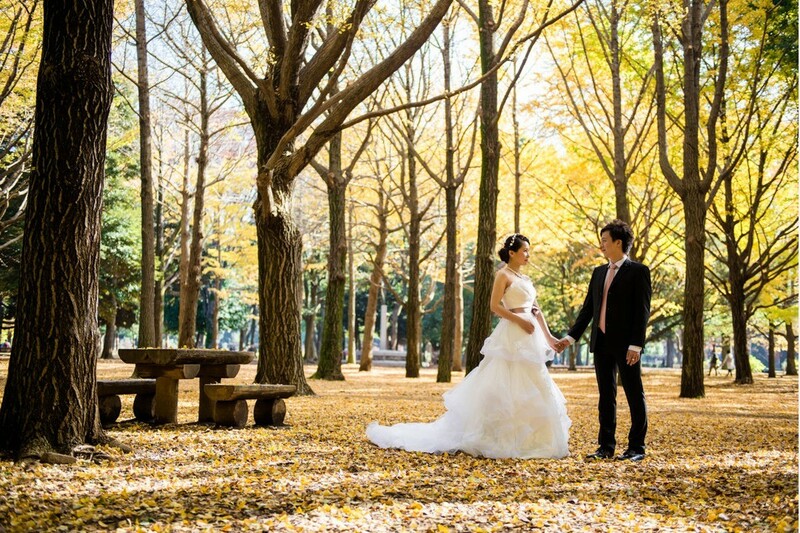 Whether you're visiting for the sakura (cherry blossoms) or autumn leaves, every season has something to offer! 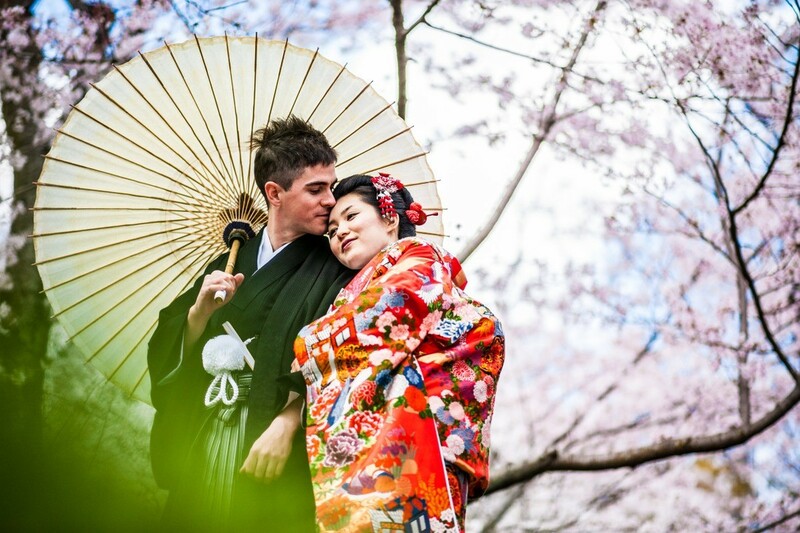 Known for having an amazing garden, the Shinjuku Gyoen National Park is a romantic spot for photos. The park was completed in the early 1900s and offers different types of gardens from Japanese to European styles. This Shinto shrine is open to all visitors and is host to many celebrations and ceremonies year round. 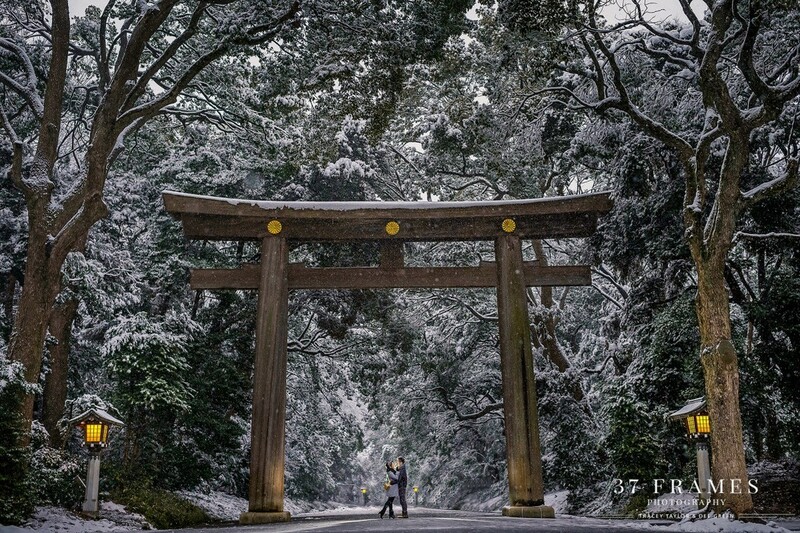 Located right next to Harajuku Station and Yoyogi Park, the Meiji-jingu Shrine has tranquil walkways for visitors to experience. Or... Do you have a special theme you’re planning? There’s a long list of traditional Japanese gardens, cityscapes, and traditional streets hidden in Tokyo’s nooks and crannies.